WE LIVE FOR PROPERTY DEVELOPMENT. FROM BASIC REAL ESTATE DEVELOPMENT AND PLANNING SERVICES ALL THE WAY TO TURNKEY CONSTRUCTION, WE COVER ALL SERVICES. FOUR PARX is a property developer specializing in commercial and logistics developments. Thanks to our passion, we regularly gain new insights into what is driving the industry at this time of global change. With this expertise, we develop innovative and contemporary concepts, focusing consistently on new market conditions and challenges for businesses and organizations. Our clients trust in the integrity and incorruptibility of our analysis. You can rely on us continuing to dedicative ourselves to providing you with a solid foundation for continued growth in the form of innovative solutions. Additionally, we also handle financing, leasing and administration of the projects developed by us. This is what we stand for. The business administration degree-holder and logistics expert Francisco J. Bähr has been working in the logistics properties sector for 20 years. During his career, he headed the property departments of various enterprises (Wolff & Müller Bauunternehmung and TNT Express, i.a.) and was responsible for corporate real estate management. His name is closely associated with the development of the well-known logicparks and nextparks. 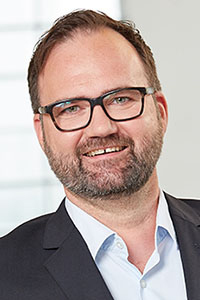 From 2008 to 2015, Francisco J. Bähr led the nextparx Holding GmbH together with, among others, Oliver Schmitt. There, he was in charge of project planning, leasing and property management. 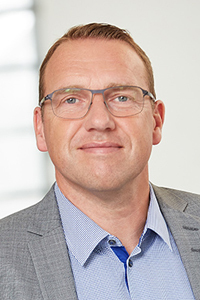 Francisco J. Bähr is a long-time member of the Club of Logistics, as well as the founder and CEO of the Initiative Logistikimmobilie (LOGIX). As a volunteering member of the advisory board of JOBLINGE AG and for the sake of corporate social responsibility, Francisco J. Bähr is also involved in supporting young people in acquiring apprenticeships. At Four Parx, he is in charge of new developments, overall project management, property management and the project urban4. Oliver Schmitt started his own planning agency Schmitt + Partner while he was still completing his architecture degree in Frankfurt am Main. There, he planned and executed a variety of projects. Even then, he already dealt with property and facility management, among other responsibilities. In 2001, he founded the architecture firm Architekturbüro Schmitt in Kreuth am Tegernsee, based in Dreieich since 2003. There, Oliver Schmitt was decisively responsible for the planning, development and execution of the well-known logicparks, as well as for additional logistics and commercial properties. The logicparks set new standards in the logistics properties sector. 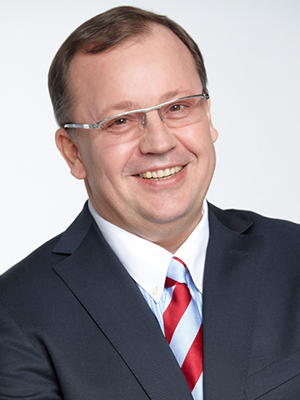 From 2008 to 2015, he led the nextparx Holding GmbH with Francisco J. Bähr, among others. There, he was responsible for the planning and project leadership of the nextparks. Additionally, he acted as the node between construction permission procurement and the structural realization of the logistics and commercial parks under the nextpark brand. Oliver Schmitt is a member of Architektenkammer Hessen. At FOUR PARX, he is, together with Jochen Gerber, in charge of the architecture and project development department. Additionally, he heads property management along with Francisco J. Bähr. As a trained banker, Marcus Jungheim possesses more than 20 years of work experience with staff responsibility. He has worked at various credit institutes in Germany and abroad, trading with securities and derivatives. From 2004, he worked as a freelance property consultant. His foci were the leasing and sale of industrial and logistics properties. During this time, Marcus Jungheim also intensively dealt with the acquisition of real estate. From 2007, was responsible for the development of the industry & logistics department as associate director at Colliers International Frankfurt. 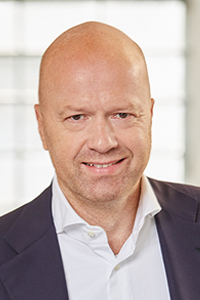 At Four Parx, Marcus Jungheim is in charge of leasing, investment and investor relations. Following the completion of his architecture degree at TU Darmstadt, Jochen Gerber first worked as a freelancer at various architecture firms (SHP Architekten, i.a.). His focus lied primarily with the design, planning, construction and project management of office and management buildings. Prior to founding his own architecture firm in 2008, through which he co-developed the nextparks, he spent several years accompanying the development and realization of various logistics properties at Architekturbüro Schmitt. Jochen Gerber is a member of Architektenkammer Hessen. At Four Parx, Jochen Gerber is — together with Oliver Schmitt — in charge of the architecture and project development departments. With more than 5 billion expected package deliveries by 2025, the booming growth of online commerce seems unstoppable. But looking closely at the future not only reveals growing demand, but also the need for sustainable approaches to logistics. The rethinking needed in order to ensure state-of-the-art commercial and logistics properties requires a focus on e-mobility, efficient energy supplies, compact floor space planning and a high degree of flexibility. This is exactly where FOUR PARX positions itself — with passion for new ways of thinking. Sustainable construction. For us at Four Parx, the subject of sustainability takes on a number of different dimensions. As an innovative developer of sustainable logistics properties, we already place emphasis on a high level of environmental sustainability during construction. This applies to our use of environmentally friendly materials, machines and building methods. Likewise, we monitor a building’s entire life cycle from the very beginning, taking into account the future of all components and elements during planning. All FOUR PARX projects are developed in accordance with the DGNB gold standard (German Sustainable Building Council). Environmentally efficient logistics. Our sustainability standards go much further. They extend across the entire logistics process, becoming increasingly more CO2-efficient. Here, we are making an important difference. With our products, we ensure that goods are not only transported reliably from point A to point B. We also make sure that unnecessary routes are avoided, and environmentally harmful pinch points are overcome. Innovative business models. 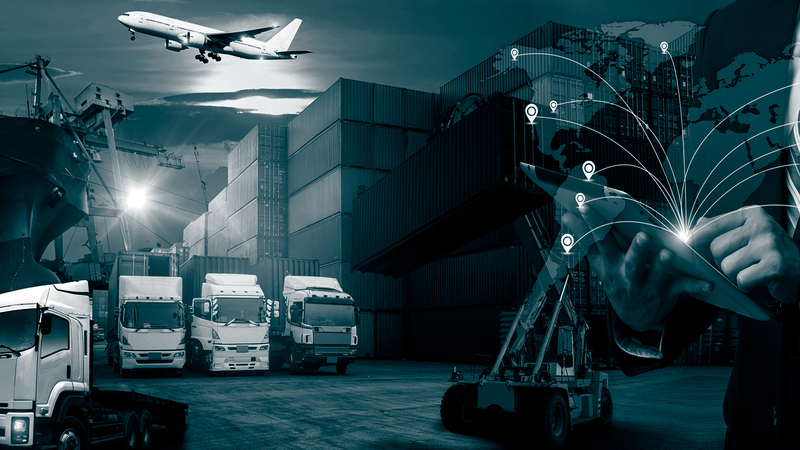 In order to reach this goal, we count on long-term planning and concepts intended to make the entire supply chain better and more efficient. By employing top-notch locations across a variety of environments, from city centers to highly accessible locations in metropolitan regions, we enable sustainable and innovative business models. Within the logistics sector. And beyond. Do good and inspire others while doing so. We all encounter people in our lives who do not have it as good as we do. People who can only with the help of others overcome diseases, gain access to sufficient food or achieve a better future through education. The shareholders of and employees at FOUR PARX have made it their mission to dedicate a significant portion of their income to these issues and to get involved in order to help people in need.